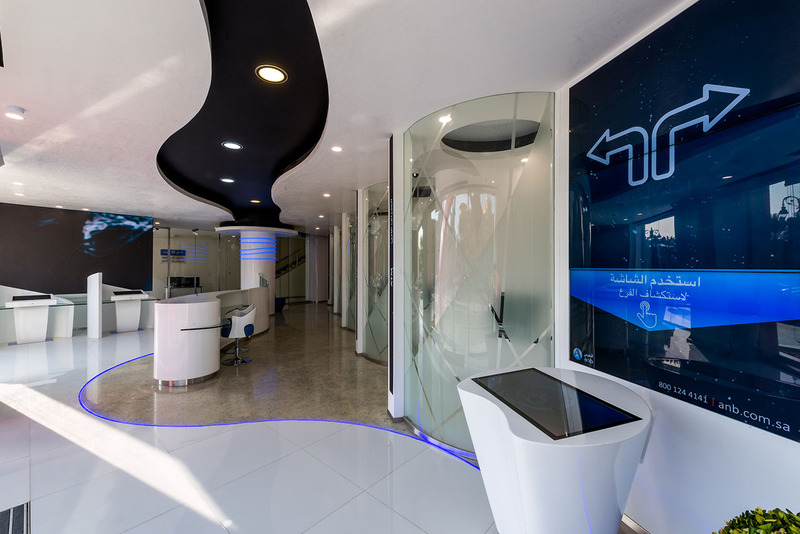 The Arab National Bank is a major bank based in Riyadh, Saudi Arabia. 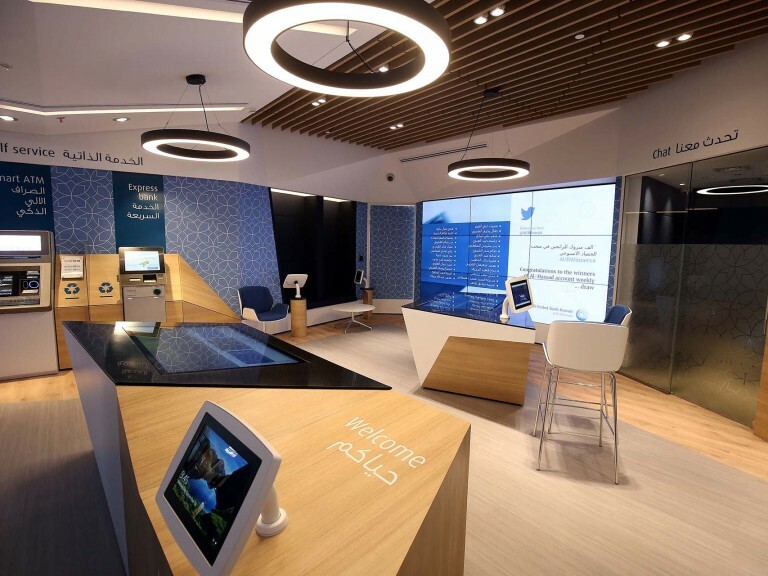 It is among the top ten largest banks in the Middle East and operates over 156 branches in Saudi Arabia. 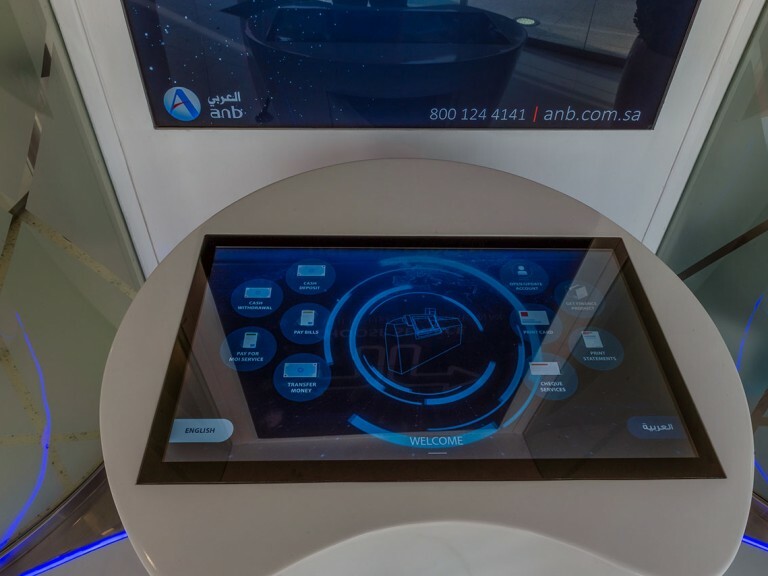 In 2017, ANB set out on a mission to have one of the first fully automated digital banks in the Middle East. 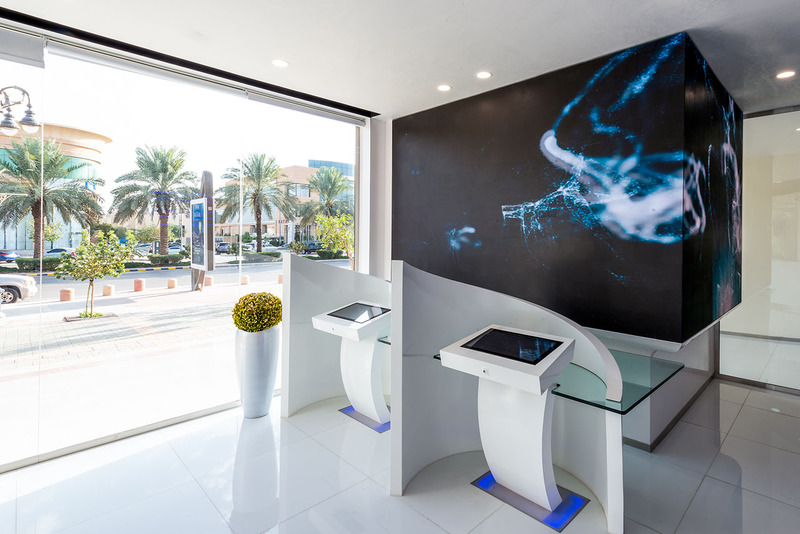 2.0 Concepts was commissioned to deliver the vision of the marketing departments strategy and bring it to life through digital technology and the applications that drive them. 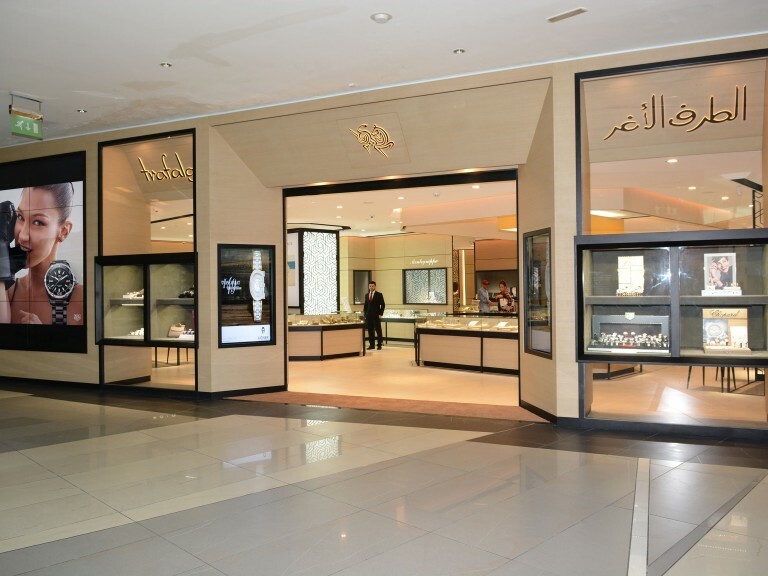 The branch can be found on prestigious Thalia Street in Riyadh. 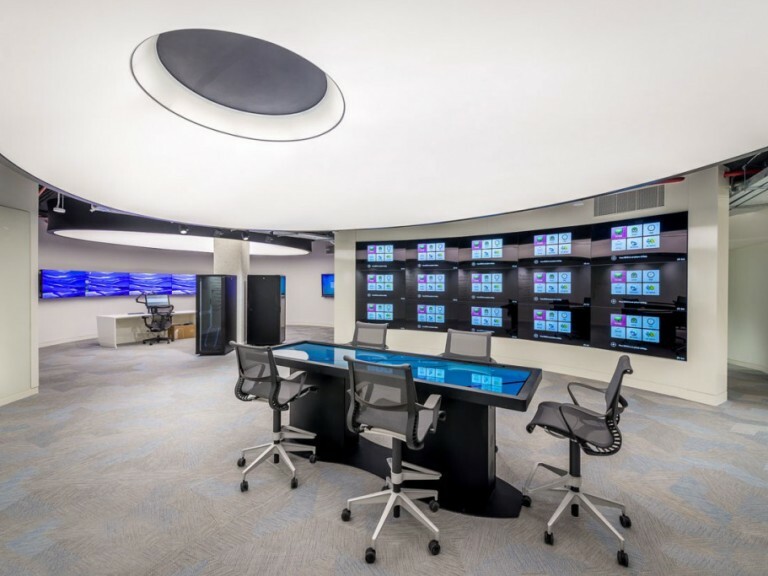 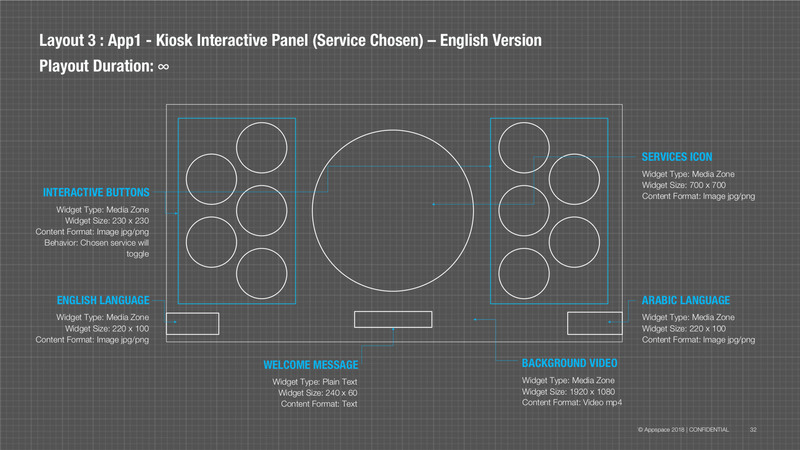 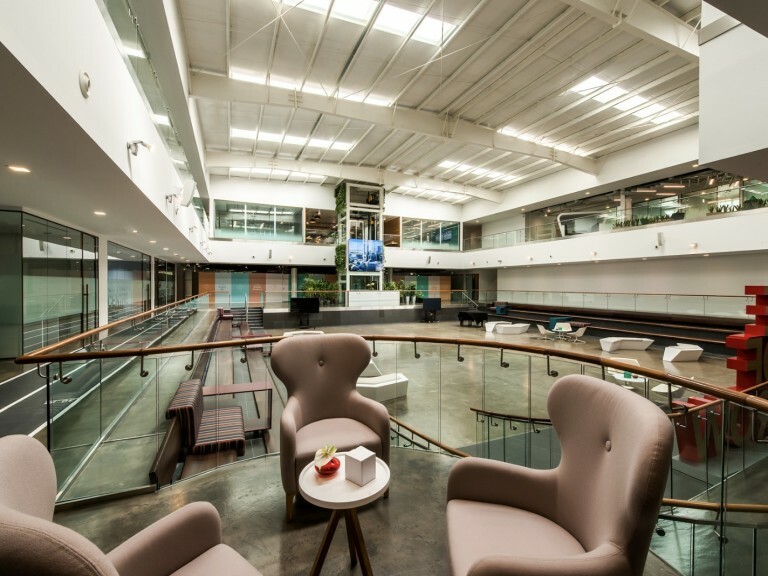 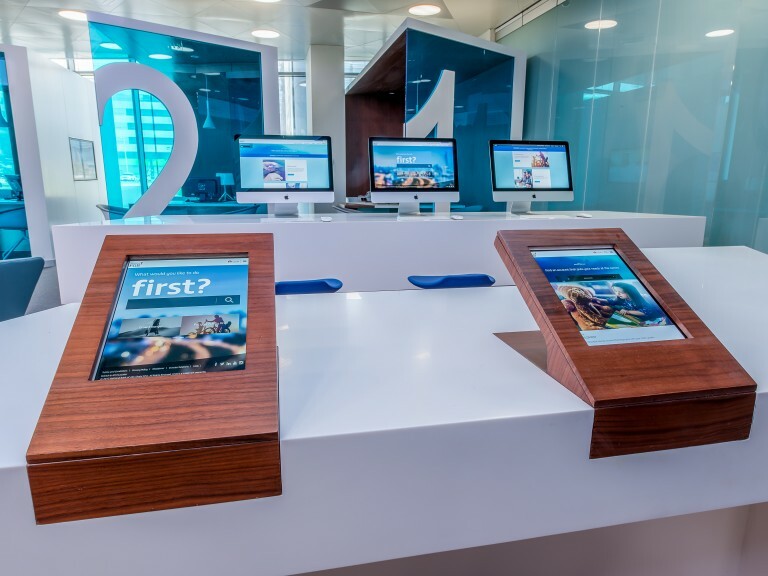 Upon walking into the branch you enter into a cohesive environment of ambient content running on the digital elements. 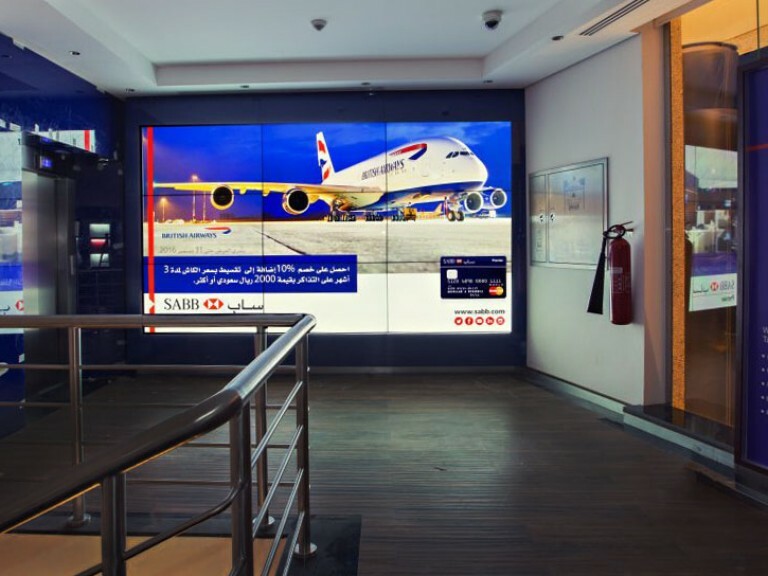 A customized 1.8mm right angle videowall is the centerpieces accompanied by 5 digital banking areas each with 1.8mm LED columns indicating the services offered. 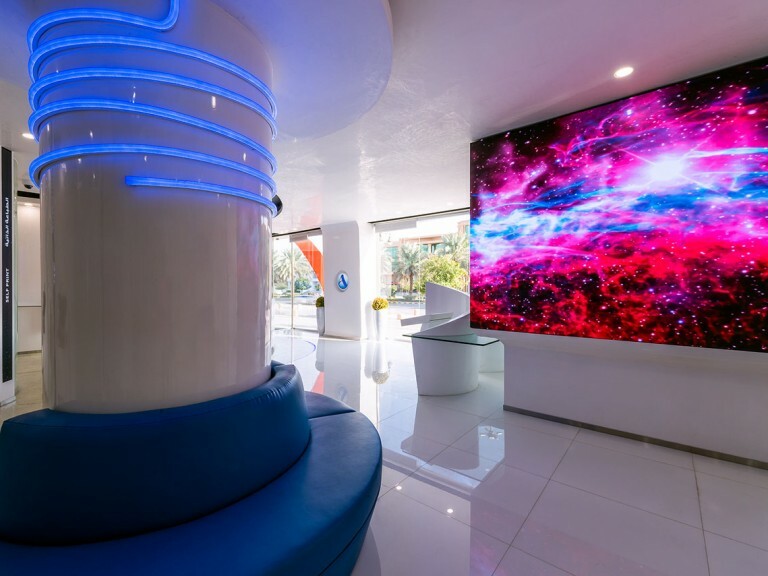 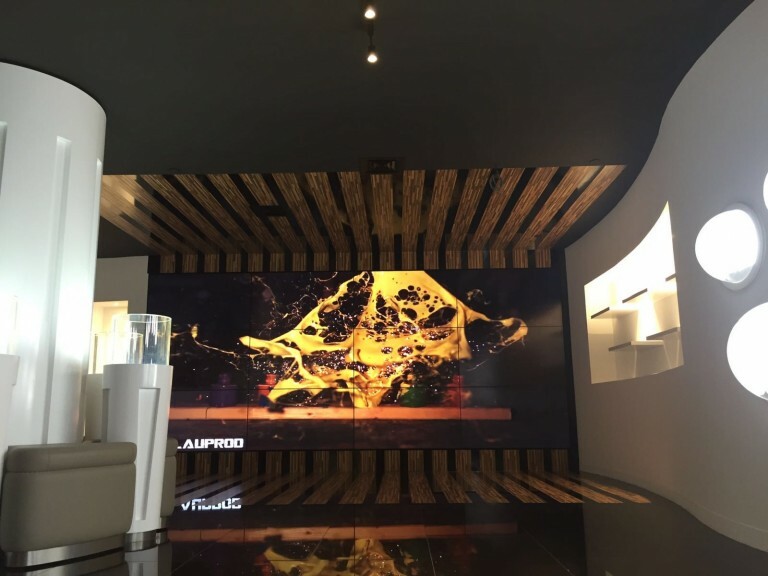 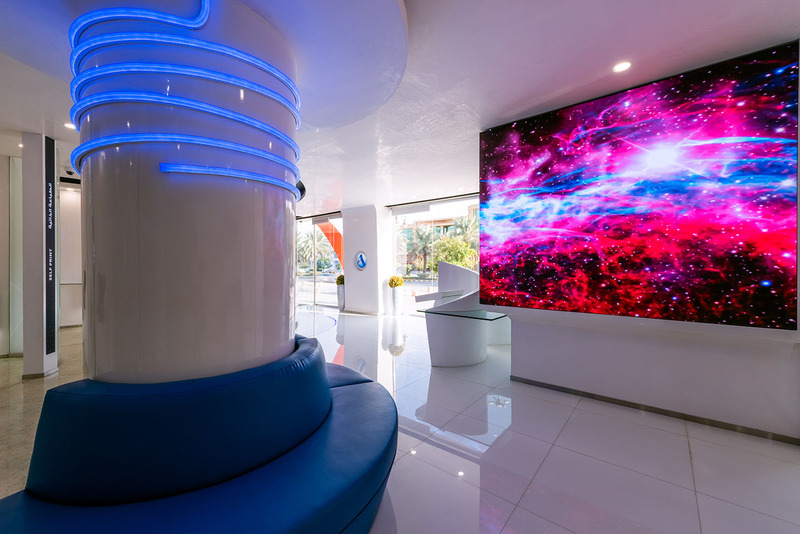 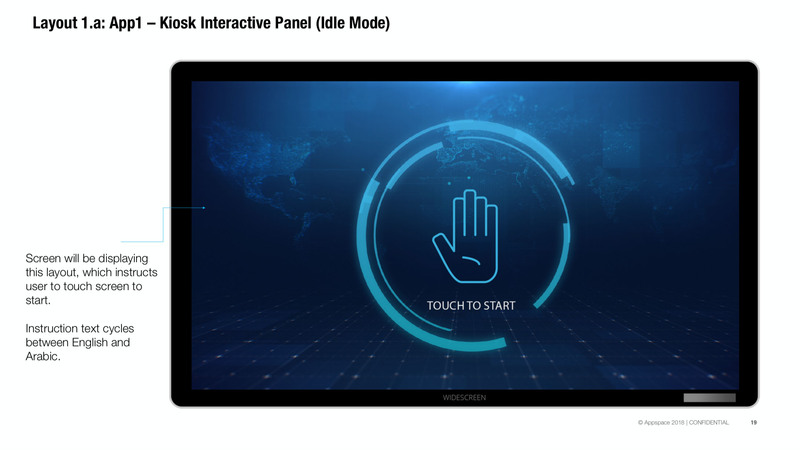 All LED components have been programmed using appspace content management system and MediaVue media players to showcase all content in unison with each other. 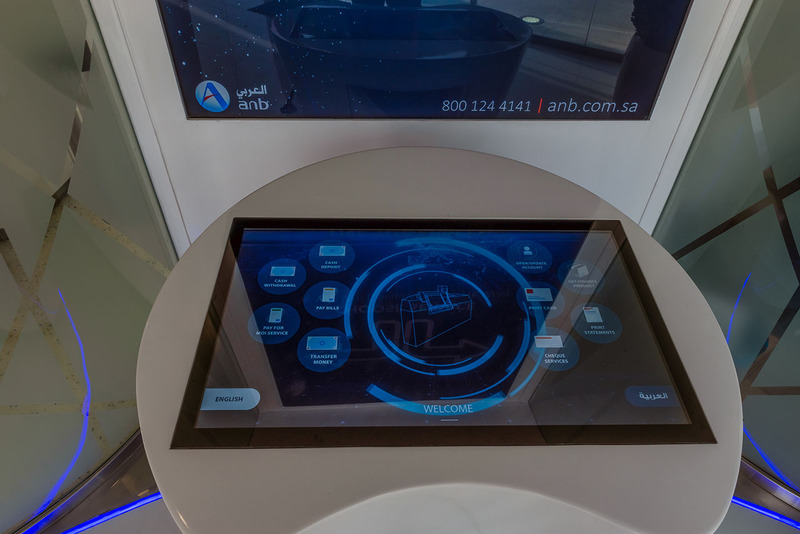 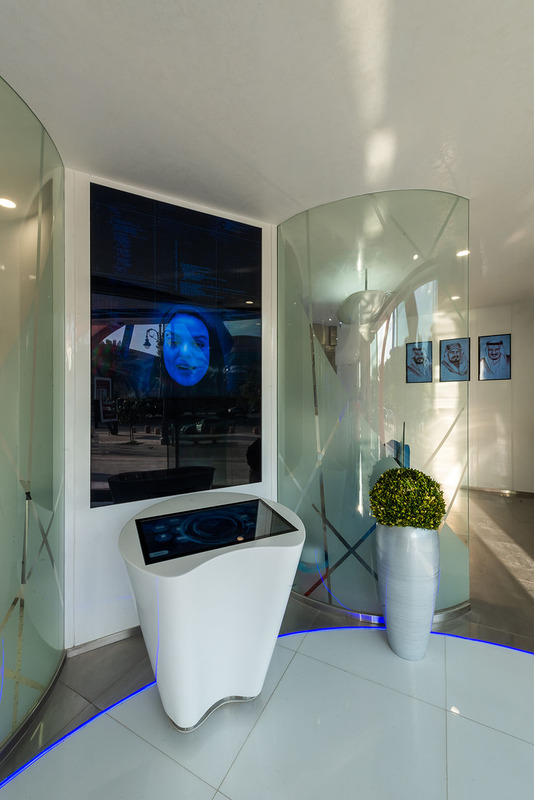 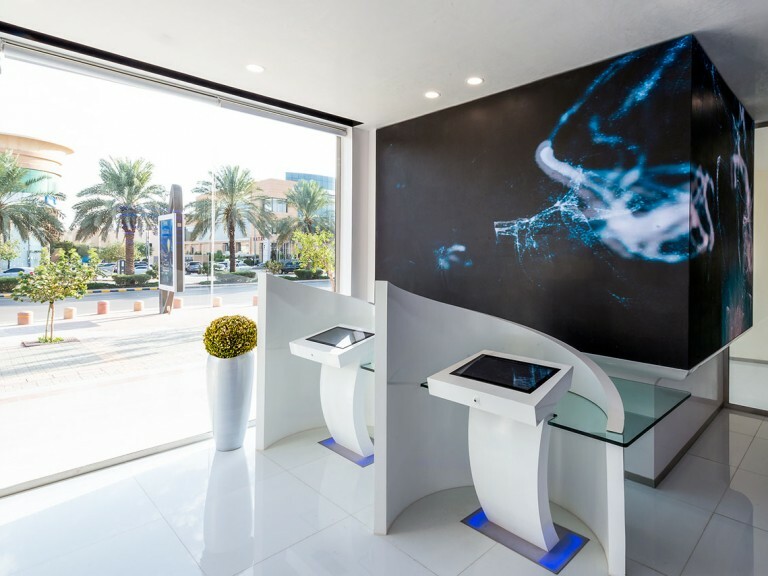 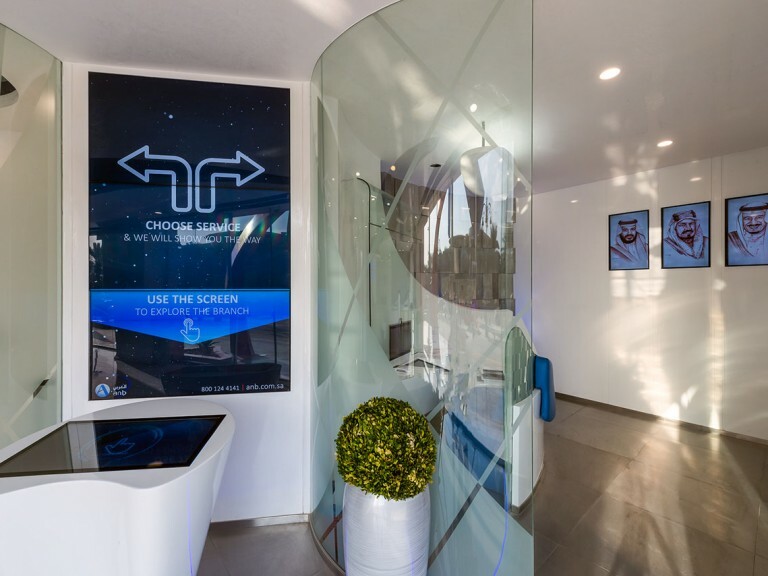 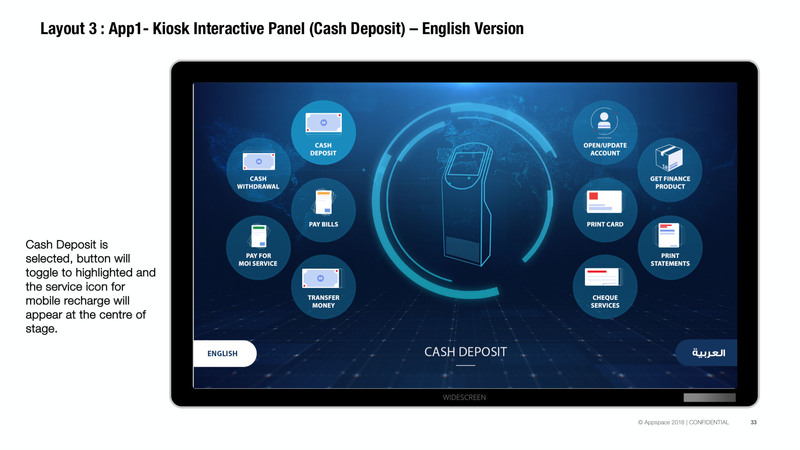 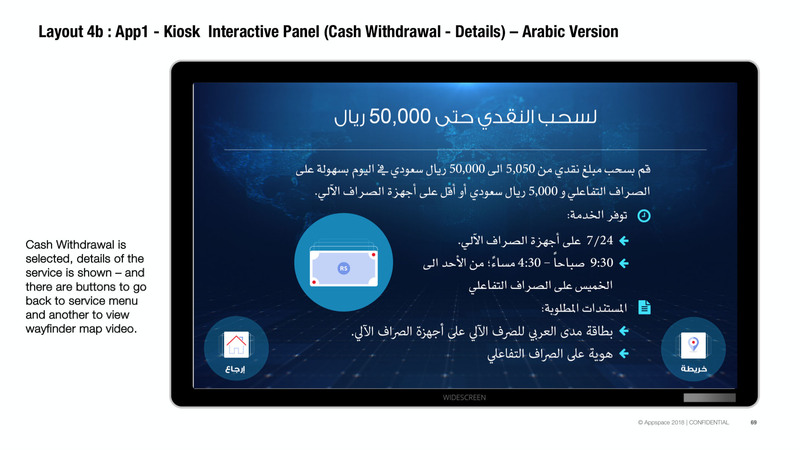 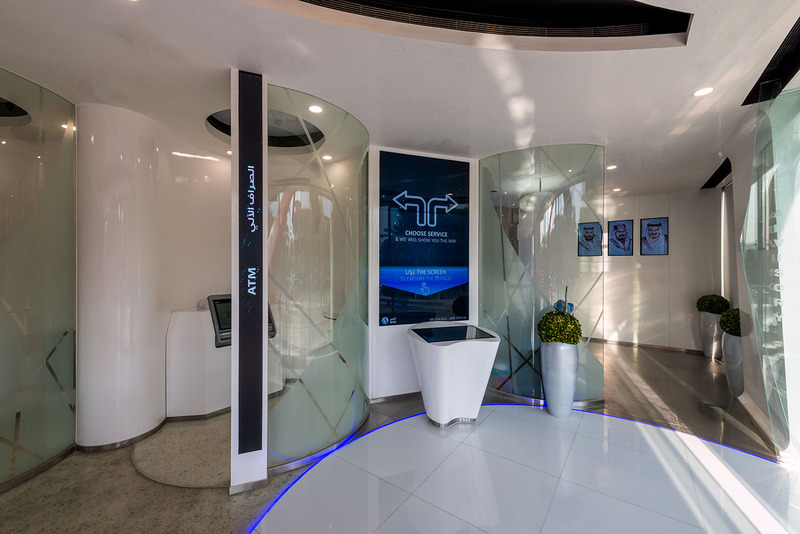 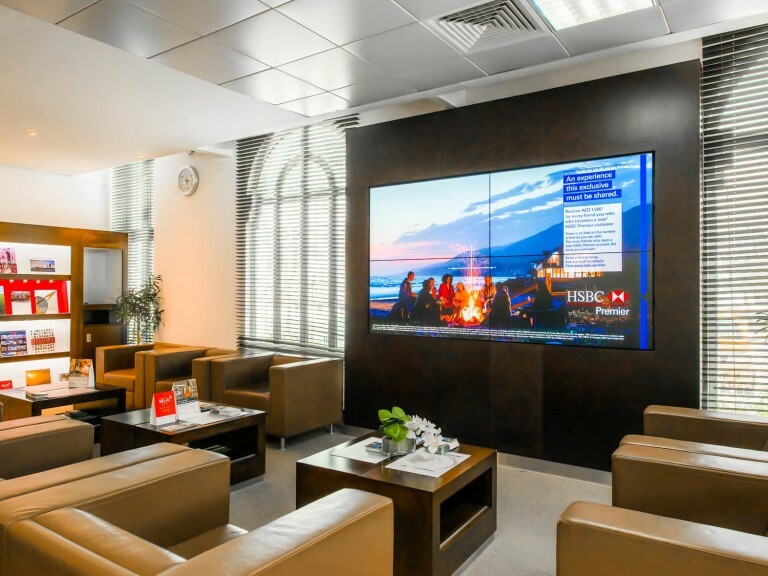 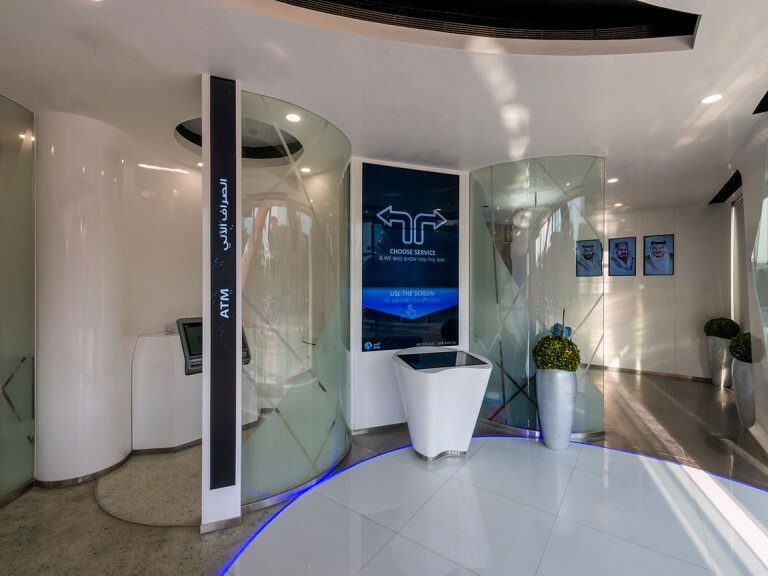 A multi-touch digital kiosk displaying the branches services invites you to interact with the screen and upon doing so a pre-recorded welcome message of a local Saudi lady informs you of the options available. 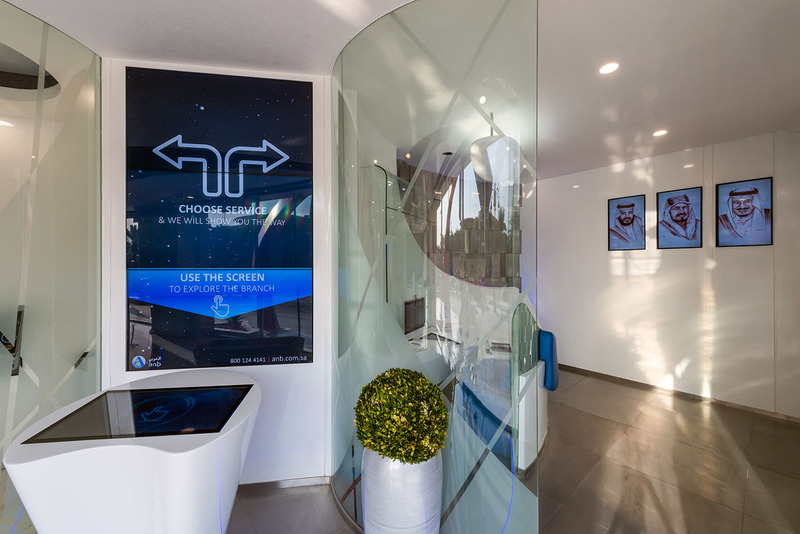 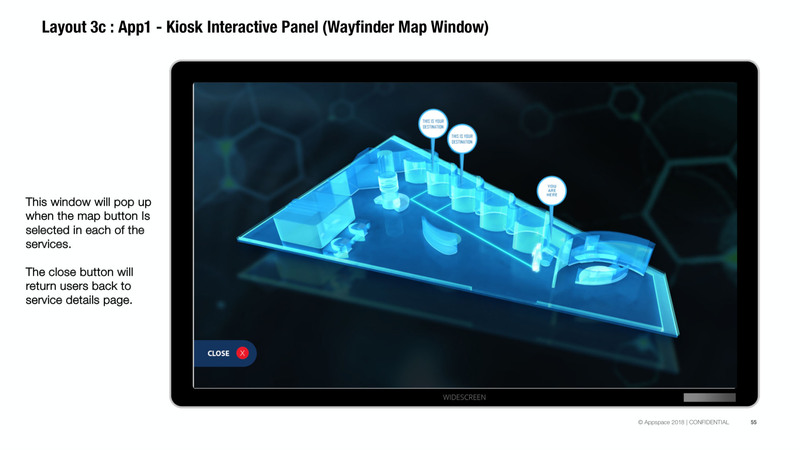 Upon selection of the service a digital wayfinder appears in the center of the screen with below information about the services being offered. 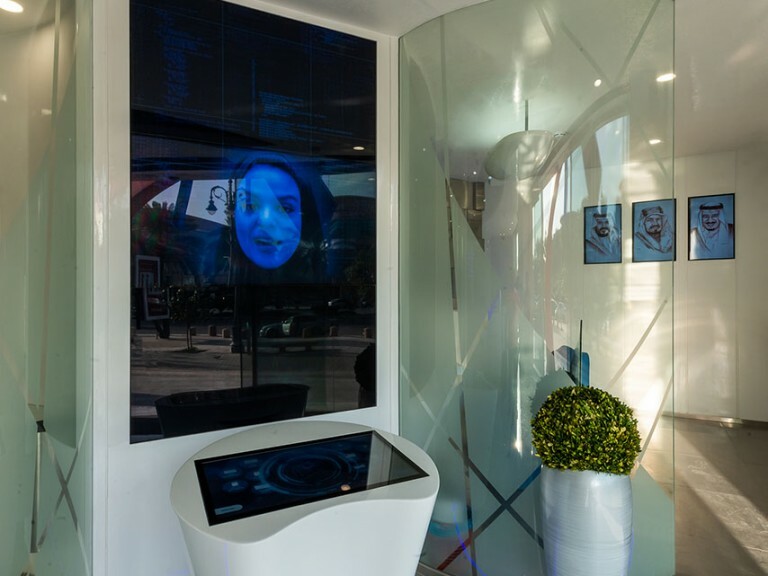 Simultaneously, the banking areas with LED columns playing ambient content blink and indicate the service, guiding customers to the appropriate service station.